One, two, three shops later, I am told that the process to get a sim card involves: a passport copy, visa copy, photo, and an entire working day. What? You cannot be serious. I walk back along the street, at this point wet with sweat from carrying my bags. It’s hot, it’s dusty, there is rubbish on the ground, animals in the street and people everywhere. I stop at a stall to drink sugar cane, and I notice there is a table set up across the road with a well dressed man selling what looks to be sim cards. I approach, and ask for a sim. We begin negotiations and settle on 450 rupees ($9) for some calling and 1GB of data. He puts the sim in his own phone and activates it. Within an hour of landing in India, I think I may have successfully traded on the black market. What is this, Shantaram? With phone finally in hand, I contacted my host. He was out of town and would be back around 6pm. He suggested while I wait that I go check out Mambalam, a popular shopping area. He said I could take the local train. My sim card dealer gave me directions to the train station, and I made my way through the bustling streets. That walk to the train station was something of a sensory overload. I suppose India is like Southeast Asia on steroids. Every few meters brings a new shop, a new street food vendor; new smells and bright colours. Wafts of street food fills your nostrils, mixing every once in a while with anything from a strong urine smell, to some beautifully scented flowers. The train station was packed, and I joined a line of people queueing for tickets. 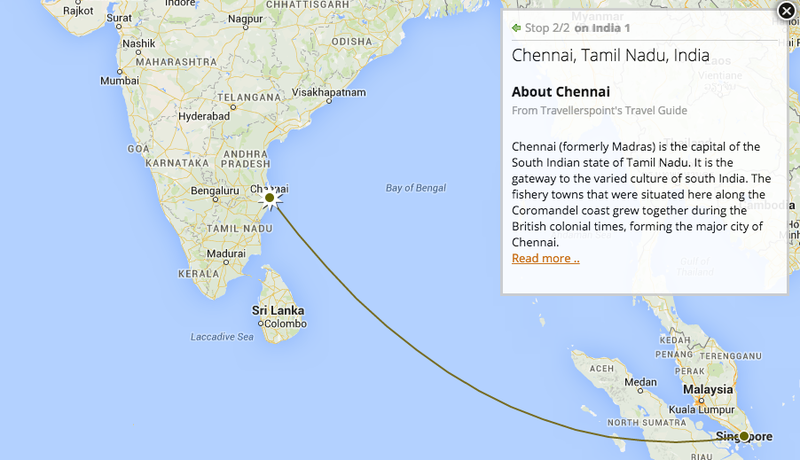 I bought my 5 rupee ticket and used Google Maps to figure out which direction I wanted to travel. 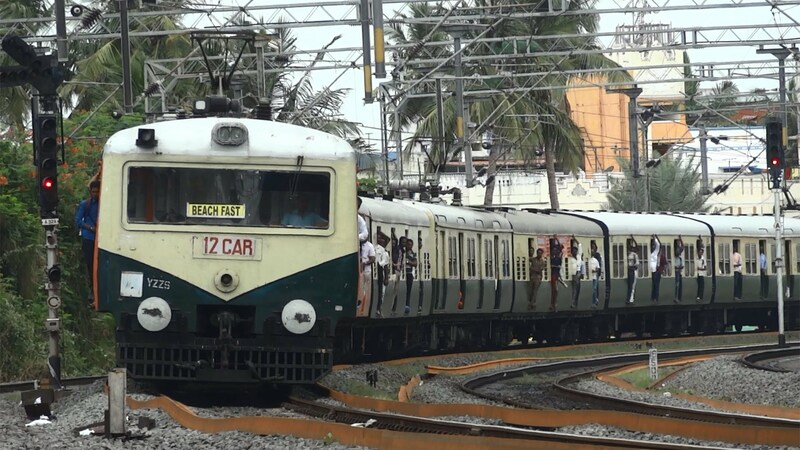 The train was surprisingly quiet, I got a seat and some 20-something Indian men sat next to me, staring, as they spoke about me in Tamil the whole way. 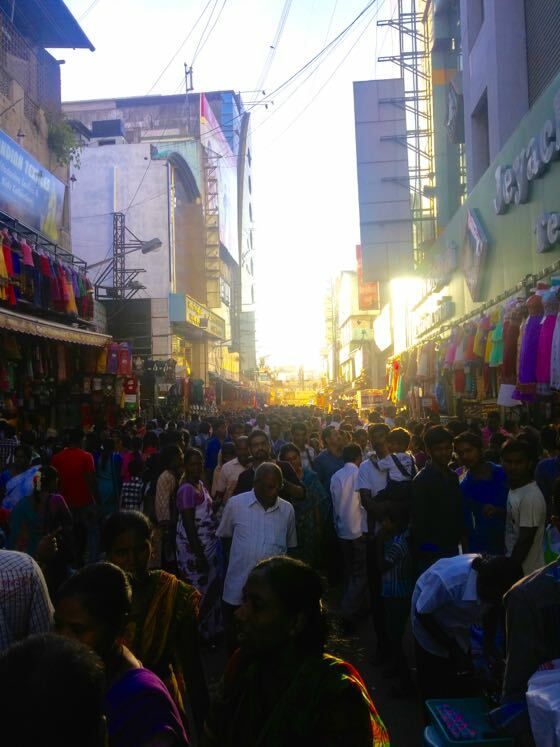 I arrived at Mambalam, and found the shopping street. Oh my god. I’ve never seen so many people in one place in my entire life. (That’s not actually true, it’s comparable to a crowd at a test match or concert.) With my bag on my back, it took me about 15 minutes to walk down half of the street, then another 15 minutes to get to the end. The shops were market style setups, selling mostly clothes and textiles. Wanting to escape the crowds, I headed toward Panagal Park, where I had arranged to meet Mani a bit later. I sat for a while, reading and people watching. I looked around, reflected on the past couple of hours and let India sink in. It was chaotic and crazy; dirty and stinky; noisy and rampant, but I loved it already. Fun fact: all overpasses have markets underneath. Baked rice and steamed peanuts. Some hours passed and 7pm rolled around. Darkness had fallen and the park was dotted with couples on evening dates. Mani had messaged to tell me his phone was dying, and that he’d be there around 6:30pm. It was at this time that I made some new friends. The conversation consisted mostly of jobs and how to move to New Zealand, as well as cricket. I’ve found that I can survive cricket conversations by chiming in with a big name every few sentences, and looking dejected at the mention of the world cup final. They were so excited to meet a foreigner that they kept phoning more friends to join them at the park. By 8:45pm I was about ready to give up waiting for Mani, it was getting late and I had no where to sleep (homelessness seems to follow me wherever I go). My new friends were still with me and discussing amongst themselves if I could stay at one of their houses, or what nice hotels might be in the area when Mani finally came through. His car had broken down on the way back to town and he’d been quite delayed. 15 minutes later he picked me up on his motorbike. I took selfies with my Park friends before we parted ways. Mani was incredibly upset at how late he was, and will probably me mortified that I’ve published it on my blog. 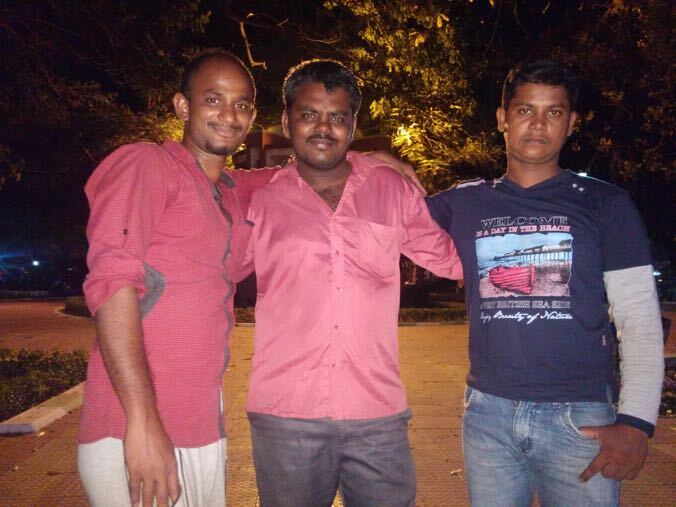 However, being homeless in a park at 9pm on my first day in India is too good of a story not to share. On the way to his place he took me to a famous local chain for South Indian food, and my first Indian food experience was top notch. We ate idli, sambar, dosa and a whole lot of chutneys served on a banana leaf (day to day South Indian food) with our hands. Mani kept ordering me more food, this meal was to set the tone for the next couple of days. 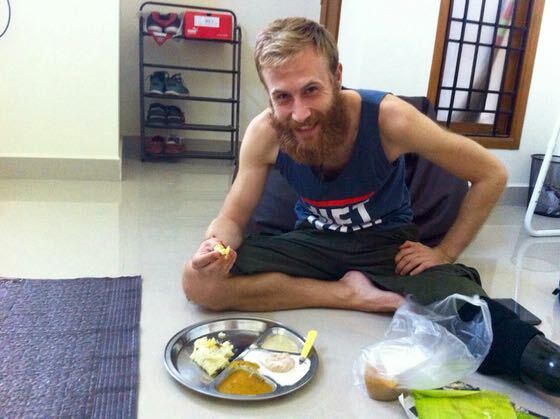 My first meal in India. Idly and Dosa. Takeaway Indian breakfast. Hand-eating game is strong. When Mani asked me what I wanted to do in Chennai, my response was basically, “I don’t care much for sights, just show me all the good food.” And that’s what he did. We ate at some super local places, the kinds of places you could never find by yourself. Mani showed me how to cook idly, sambar, and dosa, as well as taking me for tours in the cooler afternoons on the back of his motorbike. We visited slums, temples, and drove around bustling old town areas, admiring colonial architecture. Mani also took me to meet his friends, and fed me copious amounts of food. He seemed compelled to make me eat as much as humanly possible. Ordering third or fourth helpings at every place we visited. Quite honestly, this is my experience of India in general though; people trying to feed me as much food as I can eat. 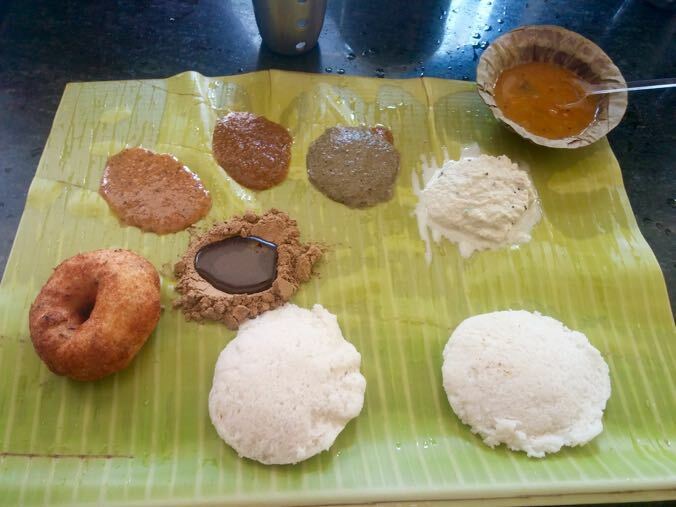 Vada & curd, chutney, sambar, pungol. He’s in the acting magazine! Wonderful food is made in here. 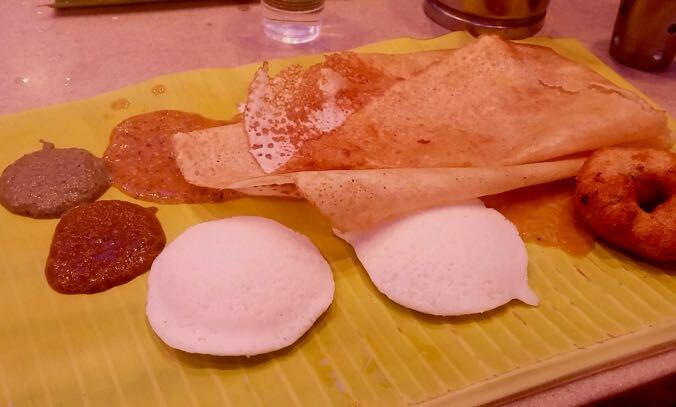 Classic idly breakfast. It’s all about the chutney. All in all it was a busy couple of days, and a fanstastic introduction to India. Even Mani told me that the north is the real India. After Chennai I flew to Delhi, then took the train around Rajasthan. More on those adventures next time. Looking forward for more pictures.Love India!